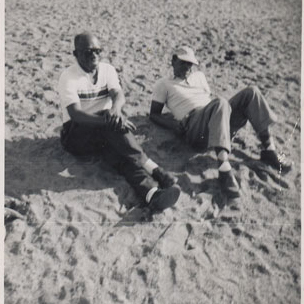 My dad, left, with family friend Hughart Wright. I have no idea where this was, since there were no beaches in Pittsburgh. Gemini men. My favorite cousins — David Browne and Russell Williams — celebrate their birthdays this week. My ex-husband and fellow co-parent is a June Gemini. My late Uncle James, who stood in in the absence of my father in so may ways, would celebrate his birthday June 10.